Content sliders are a very significant part of today’s website design and development work. They allow website designers & developers to add visual to sites or its pages and increase its appearance. Sliders allow SEO professionals to present different types of information before visitors and seek their attention effortlessly. Most website visitors are crazy about video sliders. They slide videos and view them to gain the desired knowledge in an easy way. This plugin allows you to create amazing video sliders without knowing any programming languages. You can create mobile responsive sliders using this excellent plugin. The plugin is fully compatible with major web browsers. It supports Vimeo, Vevo, Youtube, and MP4 videos. So, this plugin can be your real pal if you are creating exquisite video sliders for the purpose of video marketing. Testimonials are given by clients & customers to companies/service providers once they receive the requested services and are satisfied with that. Testimonial slider helps you to present client’s testimonials on your website in slider format and enhance the attractiveness of your website. It is responsive to all mobile devices and you can create high-quality sliders without knowing your programming language. Do you want to focus on visitors coming from the small screen? Do you want to create SEO-friendly, responsive and quick loading sliders in an easy way? If yes, then use this plugin without having any suspicion in mind. It supports image and video sliders and if needed you can add several transition effects to sliders to make them look better for the targeted audience. This is a very useful plugin for all passionate WordPress bloggers and website owners. This plugin comes with multiple image uploader tool. Just use it if you want to upload infinite image slides in one slider. It makes your website a knowledge hub and helps visitors to grasp the desired info in an easy way. This plugin is fully responsive and contains several useful settings, such as navigation buttons, slide thumbnails, autoplay slides, customizable height, and width, etc. You can use those options as per your specific needs and easily seek visitor’s attention. WordPress website admins, bloggers, and owners can use this responsive vertical image slider plugin to create and manage several vertical image sliders. As per your needs, you can add, edit or deleter slider images without any problem. Moreover, it gives the preview option, allowing you to see the look and feel of final image sliders and make the required changes if needed. If your hunt for the best WordPress Slider & Carousel Plugins doesn’t get any suitable option, this is the plugin you should care about. You can easily create horizontal sliders using this plugin & customize them as per your specific needs. It is responsive to all mobile devices & supports all leading browsers. The most excellent thing about this plugin is that it automatically pauses on the mouse. It also supports navigation and location. This feature-rich WordPress slider plugin was mentioned as one of the best WordPress plugins by Designbeep. You can create all types of sliders using this amazing plugin. It comes with a number of features, such as Live Slide Editor, unique layouts, page builder support, etc even if you are using the free version of the plugin. The premium version comes with advanced features and functionalities using which you can add more beauty to sliders and impress website visitors easily. If I say this plugin is the master of all contemporary slider plugins, it will not be incorrect. With this plugin, you can easily create SEO-friendly, responsive and user-friendly sliders and add transition effects. The plugin comes with a number of features, such as Easy to Use Interface, HTML5 Valid and Clean Markups, Touch Swipe Navigation, CSS3 Transitions with jQuery Fallback, Auto-height Sliders. It is compatible with different web browsers also. Are you facing problems to create sliders? Want an instant solution? If yes, then use Metaslider. You can create all types of sliders, add them to your WordPress website/blog and get more traffic and business generation opportunities easily and effortlessly. Contact forms help website owners to capture the contact details of customers, help them become subscribers, and grab more business opportunities from them by sending personalized newsletters. This plugin helps you to create amazing contact sliders and add them to your website/blog to increase the numbers of subscribers in an easy way. Sliders have now become an integral part of web design and development assignments. Even SEO professionals use them in digital marketing activities to help visitors gain the knowledge in an easy way. These are 10 best WordPress Slider & Carousel Plugins for 2018. Just use them to create marvellous sliders easily and effortlessly. 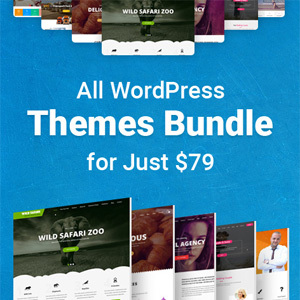 Jason Daszkewicz is an experienced and professional WordPress Developer and currently working with Wordsuccor Ltd., One of the best WordPress Template Customization Company. He is a passionate writer and has actively writing useful blogs and articles about technical stuffs..